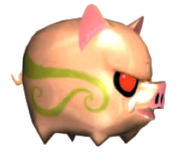 Shiro Buta Pokkī are a sub-species of small, white Gale Hawgs from Donkey Kong Jungle Beat. 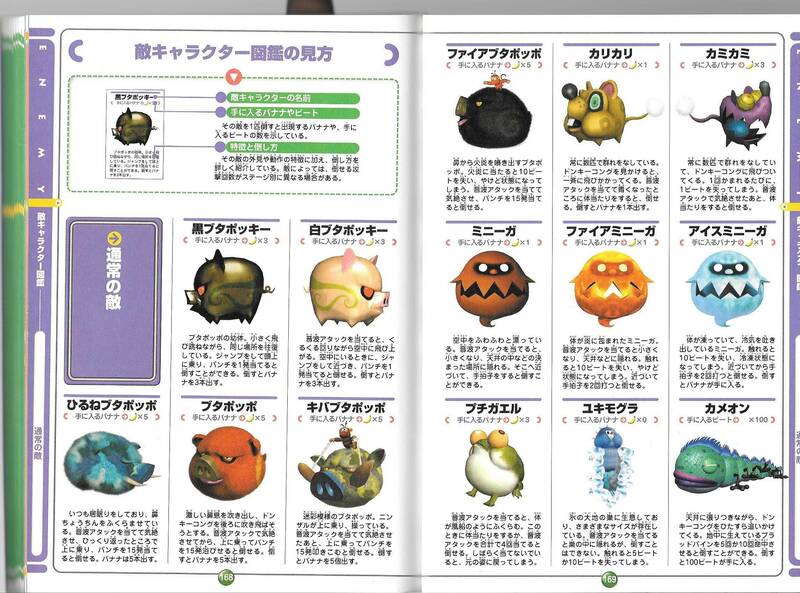 They are seen in groups, and do not attack Donkey Kong, instead moving back and forth in one small general area. They can be defeated by clapping, which causes them to fly into the air. Donkey Kong can then leap and punch them back toward the ground. If they are punched into another Shiro Buta Pokkī, it will fly into the air. Defeating them causes three bananas to appear. Shiro Buta Pokkī are first found in Desert Oasis. They later appear in Ancient Foundry. This page was last edited on April 22, 2019, at 04:03.